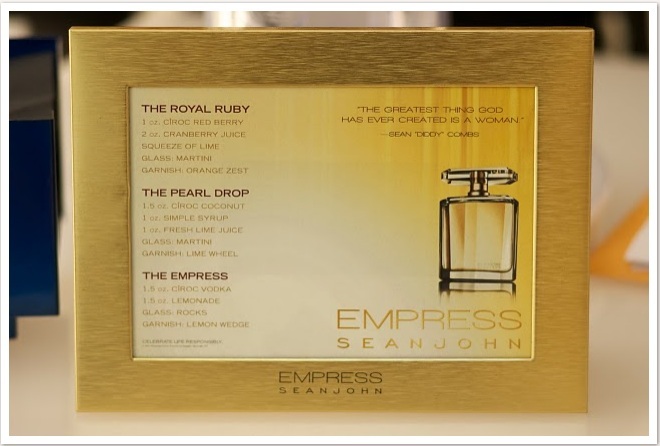 Miss Tres Chic Heads to the Hamptons for Sean John's Empress Launch with Kelly Rowland.. 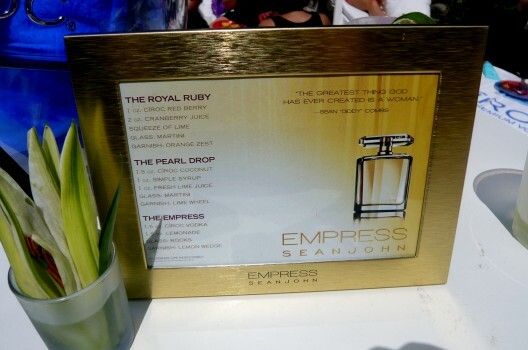 Yesterday branding mogul Sean Diddy Combs shuttled a small circle of elite NYC based bloggers (yours truly included) to the Hamptons to preview the EMPRESS Fragrance Collection. 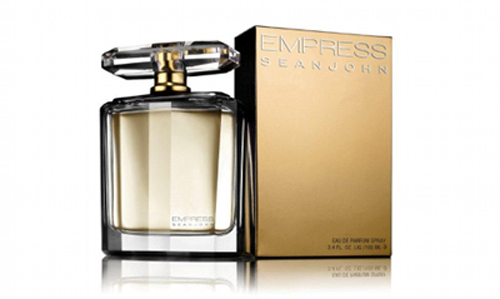 This is the first women's fragrance in the Sean John Fragrance Collection. The female counterpart to Mr. Combs number-one selling men’s fragrance I AM KING. In true Diddy style we boarded a luxury Party Bus fit for regal Kings and Empress’s. Flashing lights, Bad Boy tracks and videos of Diddy greeted us aboard. 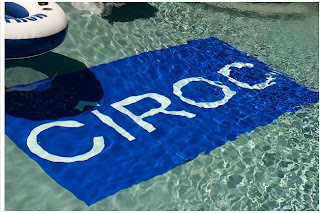 In lieu of coffee and tea were treated to decadent Mimosas courtesy of Diddy’s uber chic liquor brand Ciroc Ultra Premium Vodka. I decided to rock my linen Nine West (Circa Spring 2007) Rufffle Maxi along with my fave Triple Strand Turquoise Necklace (Sorry, Sold Out) courtesy of the fab folks at Chicos... And of course my feet are adorned in Sole Society! As we headed out of the city chatting the morning away and sipping our libations, we learned that Kelly Rowland not only was the face for EMPRESS, but meeting us in the Hamptons. A simple ride into the Hampton’s turned into a glorious morning of networking, girl talk and did I mention… The Party!! I promised to keep our party bus shenanigans a secret, but will tell you it was indeed a morning to be remembered. 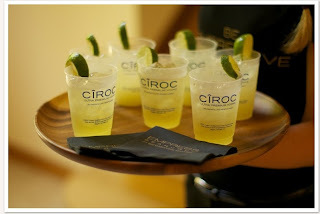 Snazzy golf carts greeted us upon arrival and ushered us up to the Ciroc Cabana Club. After a few quick shots on the step-and-repeat we headed in to the Empress oasis for the day. 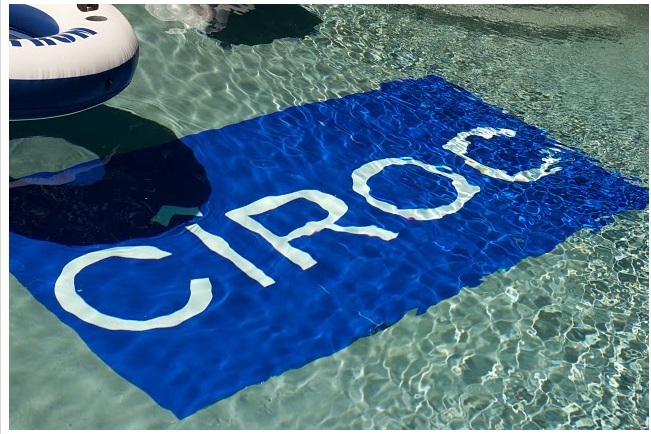 With light fare catered by STK, signature Ciroc cocktails, manicure station and a massage area I quickly settled in and prepared to lounge the day away while learning about the exciting launch of EMPRESS. The Woman who wears EMPRESS is a force of nature, powerful, captivating and uniquely feminine. Men long to be by her side, women want to know her secrets. She feels empowered and in control of herself, her future and the world around her. Her presence captivates and her words inspire, compelling those around here to her cause. As I looked this over on the ride up I instantly thought Kelly Rowland was the perfect embodiment and later found out via PR reps that Kelly was the Only unanimous decision for the face of EMPRESS. Quite impressive and definitely poised to be a successful partnership. Alas, the moment to preview the scent…. I must admit I have my favorite fragrances that have been making the rounds with me for quite some time, but every now and then a new one catches my fancy and make it’s way into my beauty bag. The fragrance is not only soft and sensual but even sneaks in a bit of fruity florals towards the second/third spritz. I was captivated and pleasantly surprised after a quick dip in the pool the berry essence still lingered along my pulse points. 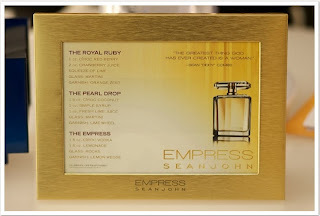 The moment arrived and Miss Kelly Rowland shared her personal affection for the EMPRESS brand and her exciting journey through her music and this dynamic venture with the Sean John Fragrance Collection. In a jewel toned draped Jersey knit dress Kelly exuded confidence, grace and a regal majestic imagery as she mingled with an enthusiastic crowd. Just had to send a quick thank you to the fab folks at Sean John, Estee Lauder, EMC Bowery and Blue Flame for an amazing afternoon. Last but not least, the fabulous bloggers/media mavens I had the pleasure of spending the day with. Special hugs and chic kisses to Celebrity Blogger Michah Jesse, Joi Marie of The Fab Empire, Jessica Andrews of The Glamazons Blog, PR Diva Kiran, Music Afficianado Antoine, Keva of Keva Johnson Swimwear and Kristina of Love Brown Sugar. You lovelies totally ROCK! Fashion… Beauty…. Music... Our entire worlds are fused together with a distinctive passion for the arts, luxury and all the wonderment life delivers. I invite you to share your inner EMPRESS with your family, community and the World..
We are gorgeous creatures woven with fine craftsmanship and embody a sense of power that can ultimately rule the world. We are EMPRESS !